A landmark Phase II study led by Winship Cancer Institute of Emory University and instrumental in the recent approval of a new multiple myeloma treatment was published online today in The Lancet, one of the oldest and most prestigious medical journals in the world. 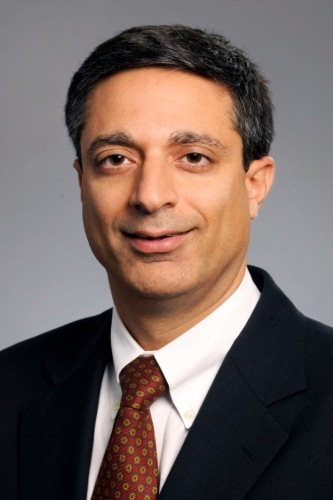 Winship Chief Medical Officer and multiple myeloma expert Sagar Lonial, MD, was lead author on the paper, "Single-agent Daratumumab in Heavily Pretreated Patients With Multiple Myeloma: An Open-label, International, Multicentre Phase 2 Trial." Winship played a key role in the testing of daratumumab (trade name Darzalex), which received accelerated approval from the U.S. Food and Drug Administration (FDA) in November 2015. Daratumumab is now approved for multiple myeloma patients who have received at least three prior treatments. It is the first monoclonal antibody approved for treating multiple myeloma. Winship was the first center worldwide to open the Phase II trial of daratumumab. Trial results, released earlier this year by Lonial at the 2015 American Society of Clinical Oncology (ASCO) meeting, were pivotal to the FDA's rapid review of this treatment for advanced-stage multiple myeloma. "The responses we saw in clinical trials that led to rapid approval were striking, especially considering that these patients received a median of five prior lines of therapy," said Lonial. "It appears the novel mechanism of action for daratumumab may play an important role in its single-agent activity among this group of advanced-stage multiple myeloma patients." The drug, which engages the immune system to fight myeloma, showed an overall response rate of nearly 30 percent for patients who have become resistant to other anti-myeloma agents. Lonial reported that roughly one in three patients across the board responded to daratumumab as a single agent, independent of what treatments they had already received or their age and other factors. "This represents the first single agent activity we have for a monoclonal antibody in treating multiple myeloma. The future hope for daratumumab is in our ability to bring this active agent to earlier lines of therapy and combine it with drugs where you may get synergy," says Lonial. Since 2013, Winship has enrolled 73 patients on the daratumumab study. The fast-tracked review and approval of this drug follows a pattern of breakthrough treatments for multiple myeloma that have been tested at Winship. Learn more about multiple myeloma care at Winship.